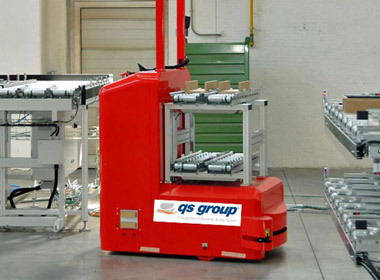 The acronym AGV stands for Automated Guided Vehicle, whether it is based on laser, Inertial or Inductive technology. 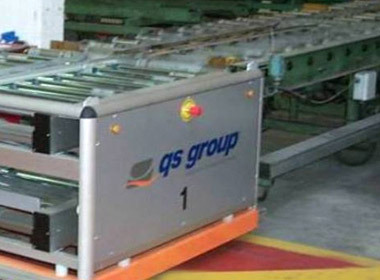 QS Group provides turnkey solutions for handling problems regarding materials either within the production cycle as well as in the receiving, warehousing and delivery phases. The solution is "made to measure" based on the specific requirements of each production facility, in terms of technical choices as well as installation methods, as they are often built inside pre-existing systems or departments. The use of automated guided vehicles is certainly the ideal solution to optimise the logistics of internal handling in any facility. 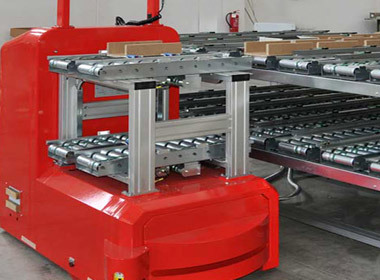 In many facilities automated handling significantly reduces damage to the materials which is typical of manual handling, with the use of transpallet fork lift trucks or forklifts. 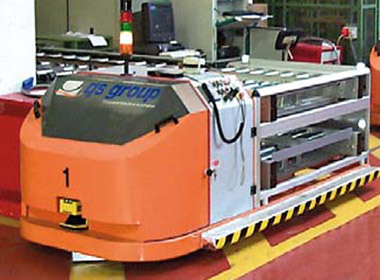 The rationalisation of the flow of materials and the subsequent analysis of the interactions of the sub-systems involved in handling are required to guarantee the successful inclusion of the automated guided vehicles. Safety and reliability requirements must also be taken into account, typical of facilities where vehicles move in close contact with staff and the production machines. 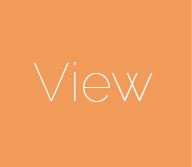 Management software that can be integrated with WMS and TRACK modules.